Craft is the Apple of my eye. There has been quite a lot of Craft news since the last issue. 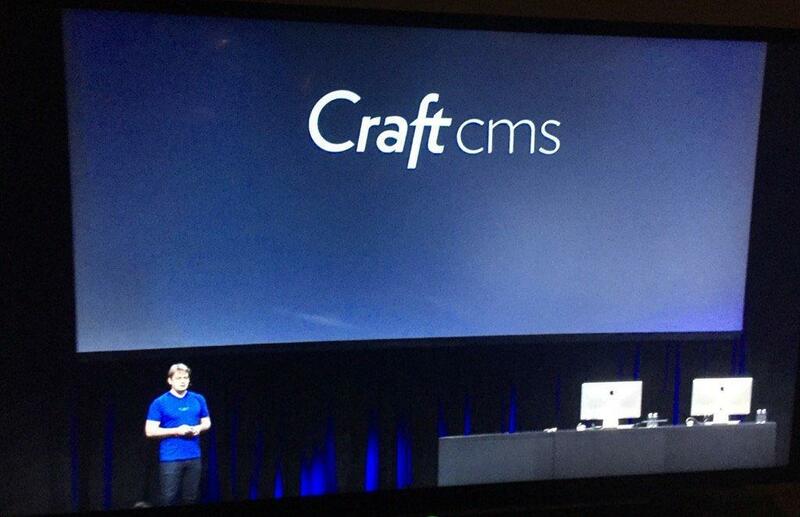 Craft CMS made it's way into Apple's WWDC. Craft Commerce got a free plugin for selling digital products. Plus, there's still time to get tickets to the online Craft conference, Craftini on Aug 5, 2016. The sessions look good for all skill levels. This issue brings a new sponsor to the newsletter. Backup Pro makes automated (and manual, if you prefer) backups really easy. I use the plugin myself. Check it out and a big thank you to Backup Pro for sponsoring this issue. This project helped Craft CMS make it's way into Apple's WWDC this year. This plugin makes it possible to sell licenses for digital products with Craft Commerce. This job board is just getting off the ground but sign up now to help get your next Craft project booked. Although mentioned in issue #7, this guide has had an extensive update since then. What is it? It discusses how to "take a bare VPS (e.g. on Digital Ocean or Vultr) through to a speedy production ready Craft server in less than an hour." Backup Pro adds simple, 1 click, file and database backup and database restoration. Store where you want, built for automation, and sleep securely at night once again. The Apartment walks through "a client project that needed the ability to support multiple different languages, dynamically." Jérôme Coupé discusses multilingual Craft development. This recently updated course covers the "basics you need to know to get started using Craft". What’s the recommended way to set the site URL? What are the cache options available to a Craft installation? Cache a list of entries with pending postDates and have it automatically invalidate the cache appropriately. Learn about extending Twig in this Code Review. Learn about setting up email templates in this Stack Exchange mentioned a couple weeks ago on Slack. Also, in that conversation this helpful Stack Exchange post about emailKey was mentioned. Pic Puller lets each Craft user have individual Instagram account access or, if you choose, users can share a single Instagram account across all users. The choice is up to you. This powerful little plugin gives you the ability to upvote or downvote (a la Stack Overflow), or to even just "Like" something (a la Facebook). If you're looking for a Redactor alternative you might want to check this out even though it's still a WIP. It's an implementation of the Froala Editor (license not included) for Craft CMS. Zenbu for Craft is a powerful and customizable entry manager that allows users to view entry custom fields, entry ID, title, URL Title, categories, author, status, date, and more, all in one list. Search criteria can also be saved for easy retrieval later. A Craft CMS plugin from Miranj that adds Twig filters to perform cryptographic operations. This plug-in from Robert Sanchez shows a log of database queries in your front-end templates which can be helpful during development. This plugin removes the All Entries item from Craft's Entries view and "Craft’s wonderful redirecting auto-magically takes you to the next available Section." "What I always wanted a CMS to be and what I hoped a CMS could be." "we have settled on Craft as our go to Content Management System"
How to use code as your primary design tool.